Tay Ining (b. 1988, Singapore) works at a metalworking shop. As an artist, she explores the neglected creative potential of fabrication industries in Singapore. Her recent works have addressed the linguistic and conceptual concerns with mechanical phenomena and depicted objects. They are inspired by her encounters with the transformation of metal in the factory. Ining did her B.F.A. at Nanyang Technological University, School of Art, Design and Media in 2011, majoring in Interactive Media. She is a participant of the Massachusetts Institute of Technology GAMBIT (2010) program and a recipient of the National University of Singapore SHAPE (2014) grant, both of which were overseas internship experiences in the United States. Her recent works include AGAINST WALL VIEWING THE, an installation with metal wall hooks and artworks fallen off the wall at Shophouse 5, POCK POCK ROCK, a site-specific arrangement with newly built metal structure and hidden debris at OH! Open House’s Potong Pasir, and BARE STEEL, SNOW BLANKET, an effect of water freezing and condensation upon mild steel using a refrigeration system, that won the Noise Singapore Award 2015. 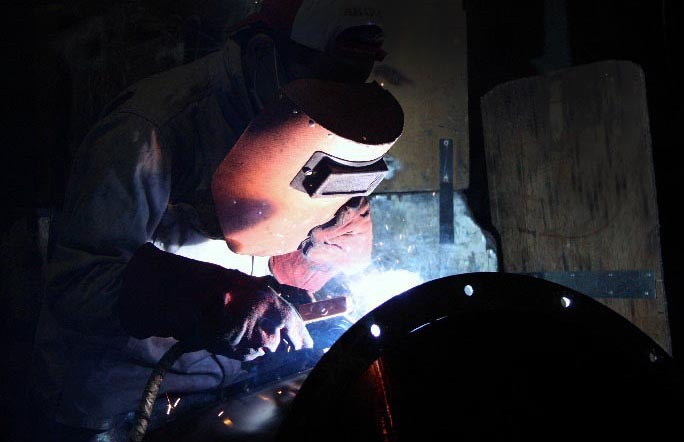 Who’s behind that welding mask? Ining ended her work contract as an User Experience designer in Pittsburgh not long ago. 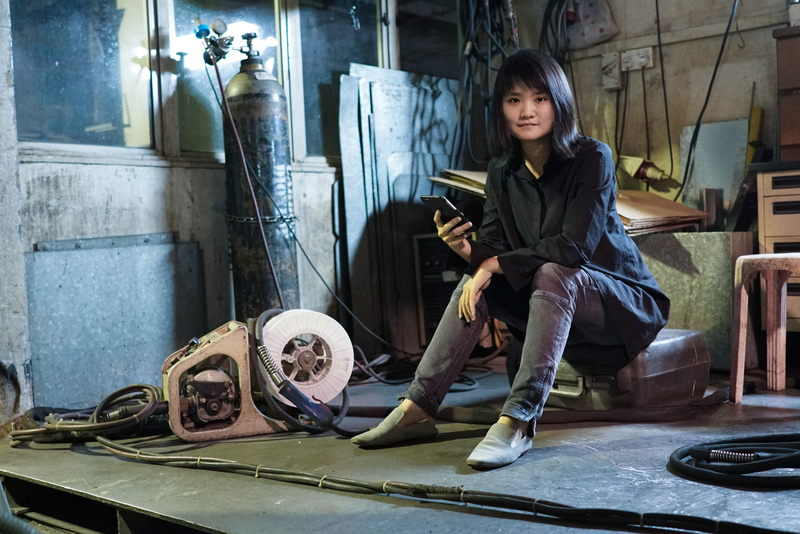 When she returned to Singapore, she took a keen interest in her family’s metal manufacturing business. Interestingly, the company is the same age as her. She is milking it of all its worth for the sake of art. Working in the metal workshop has allowed the artist to introduce something new and odd to the existing industrial process in the factory. She aspires to build up her craftsmanship and close the gap on conceptual art, making artwork as she experiments with metalworking. Interestingly though, she comes out with unusual approaches of using the existing equipment to work with metal and the factory workers around her start to ponder on the purpose of art. At the end of each day, she contemplates among the firey sparks and deafening noises from the labour. While she figures the potentials of metalworking, juggles her artistic visions and craftsmanship, she also helps other creatives realise their projects through the use of her metal workshop’s facilities. Making art for others helps her discover how knowledge and experience are imparted from one person to another. Approach her for help if you need to make something – whatever it is – she would love to join in the fun.